2015 has really been a major character building time for me. It’s forced me to do some serious introspection and admit some hard truths to myself. It’s also helped me unearth a warrior spirit I didn’t know I had. I was put in some sticky situations that really forced the best out of me. I knew I was never short of moxie but this past year’s events have taught me to practice more patience and more sensitivity towards others. My friendship circle has diminished and I am certainly better for it. With the major growth I have undergone this year, it has inevitably resulted in me outgrowing certain friendships and people. I have realized that this is not necessarily a bad thing – just another part of life. 2015 has tested the resilience of my immediate family too. We’ve come out on the other side closer than ever. For me, it has re-enforced the fact that FAMILY really does come first. I am so proud of my achievements on my career front. I officially became a fully-fledged health and wellness blogger with the launch of this website. Added to that, the highly successful “BFF Challenge” events that were sold out! It was so exciting and fulfilling growing my company a bit more this year. As a small business owner, I took some hard knocks this year too that have taught me some valuable lessons that have only caused to inspire me in other ways and helped put plans in motion for 2016. Added to this, I still get to do what I love, which is work as a TV Sports Anchor and value this opportunity that so few are afforded and so many dream of. In conclusion…“Trust that life is giving you exactly what you need practice in.” Despite all its adversity – I am still standing and know that I am one tough cookie that will not get K.O’ed in the first round. I can go the distance and give just as good as I get. I’m a warrior and ready for a new chapter in 2016. 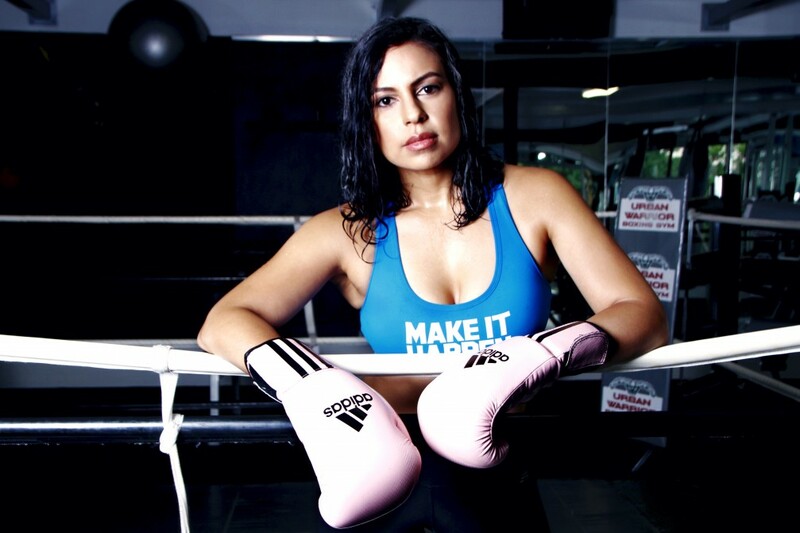 What I am wearing – Sports Bra: Lorna Jane South Africa; Sleeveless hoodie: Lorna Jane South Africa; Leggings: New Balance; Boxing gloves (and wraps): Adidas; Sneakers: Adidas Boost; Jacket: Adidas Originals x Yoon collaboration. Thanks to Urban Warrior Boxing Gym on 11th Street, Parkmore for our location.